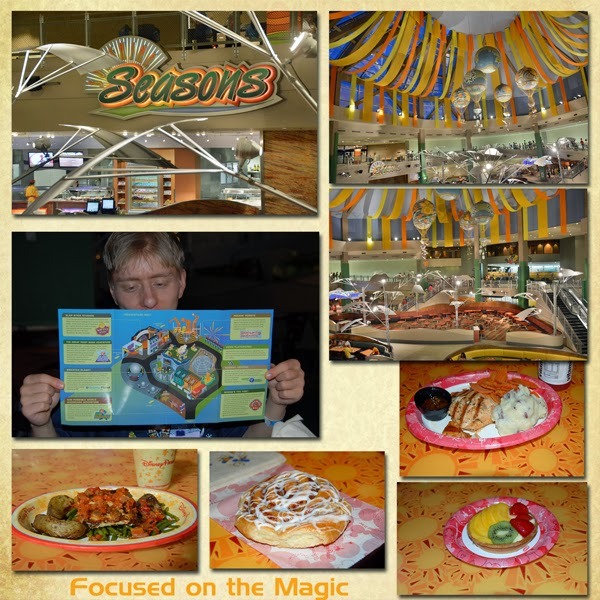 Sunshine Seasons is a quick service, casual dining experience located on the second floor of the Land Pavilion in Epcot's Future World. It is a must do for lunch or dinner for everyone in our family. Even the pickiest of our eaters finds many dishes to choose from. The grilled salmon with fresh vegetables is his favorite go-to dinner and mine too. Feast on the bounty of The Land pavilion’s greenhouses at its food court. Choose from stations featuring Asian fare, gourmet sandwiches, soups and salads, and wood-fired entrées. Try the ginger Mongolian beef or the grilled salmon. Peter plotting our next course of action, Filling salmon dinners, danish to save, fruit tart to savor. Sunshine Seasons is the place we go to if it's crowded in the park. There is a combination of booth seats ( my choice) around a table or tables and chairs. The best part is that there is plenty of seating and the tables turn over is quick. Cast members are always on hand to clear the tables for the next guest. It is one of the cleanest quick serve restaurants on property. Check out the Sunshine Seasons Menu. What's your favorite Quick Serve Restaurant? What was your favorite dish? 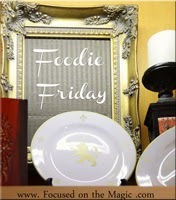 This post is linked up to the Favorite Food Friday Blog Hop hosted by my Disney Foodie Friend Sean at Disney Day By Day. 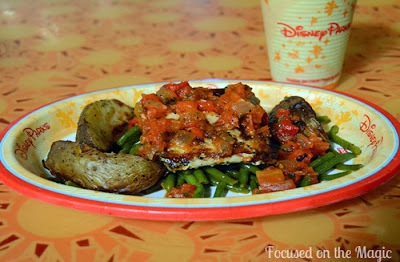 If you didn't get here from there, hop on over and find out about more fabulous Disney foods!